2 / 1.5 B - AHR Acid Resisting Rubber Pump provides total versatility when it comes to materials of selection, interchangeability of components and variations to extend the life of components. Wear and overall reliability will be limited to the weakest part of the pump. 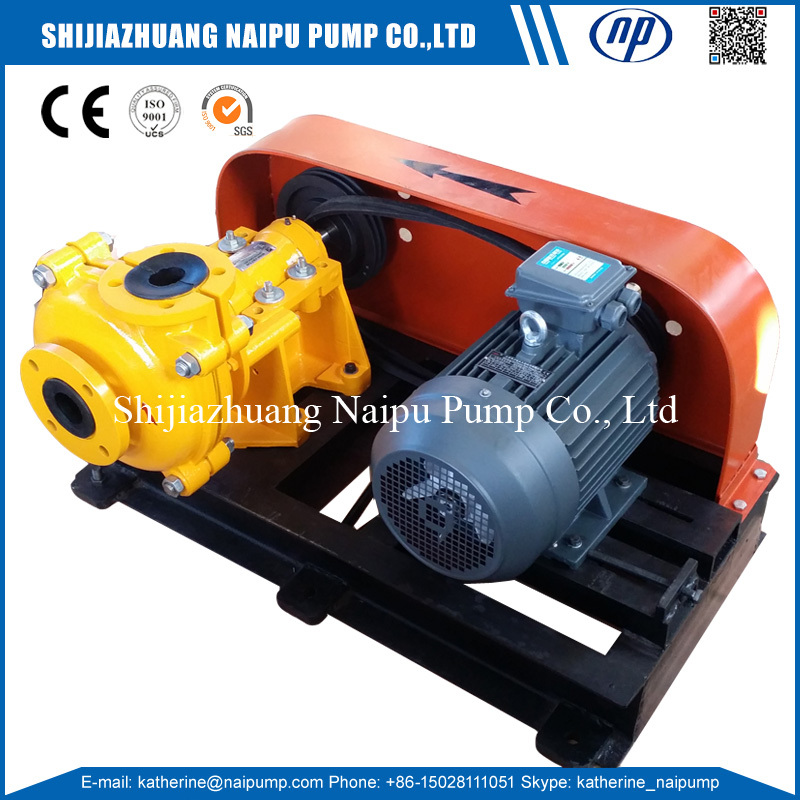 OEM Rubber Slurry Pump, OEM Slurry Pump Spare Parts. The flexible design of these Sulfuric Acid Pump units combined with the appropriate selection of material of construction ensure the lowest operating costs. 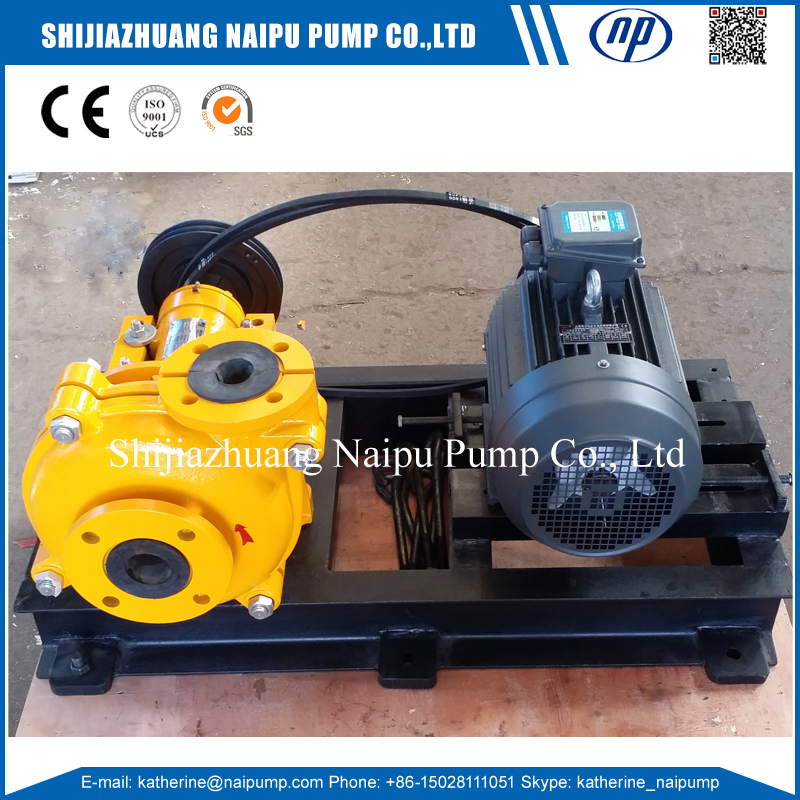 AHR rubber liners Horizontal Slurry Pump. Copper Mining Slurry Pump, Gravity Concentrator Feed Pump, Desulphurization slurry Wear-resisting chemical Centrifugal Pump. 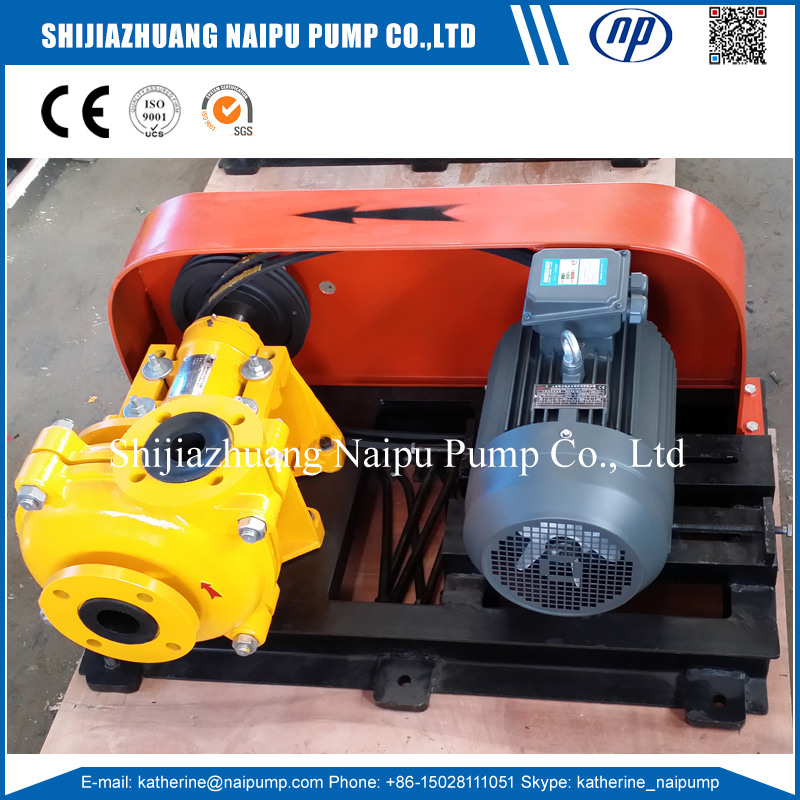 2/1.5 B-AHR Slurry Pump are widely used in mining, power, metallurgy, coal, dredging, building material and other industrial lines to pump concentrate, tailing, sludge, and other abrasive high density slurries. 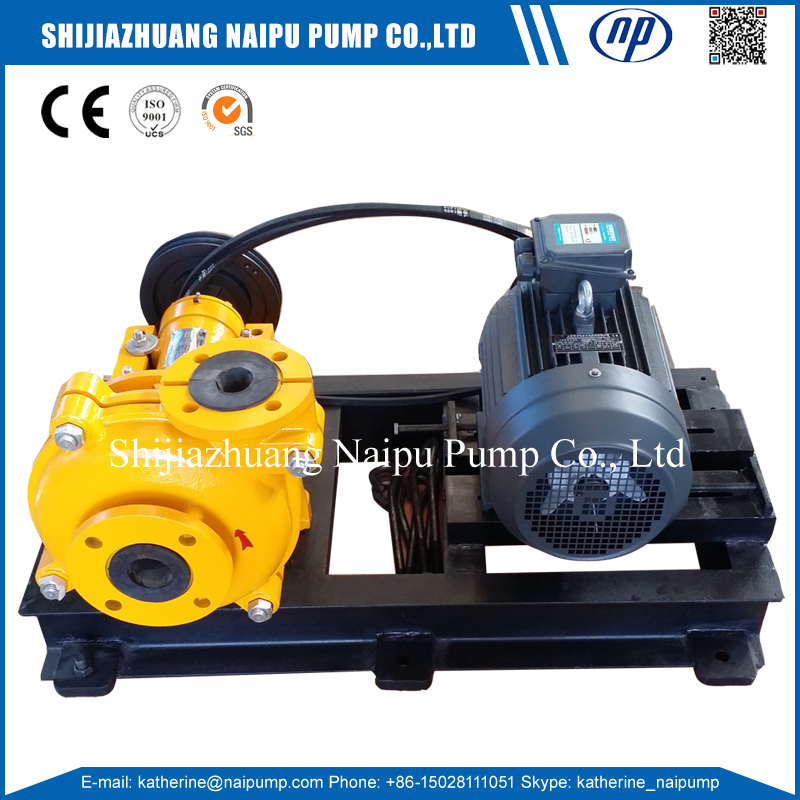 1.5 Inch Rubber Pump connected with motor with different drive style according to the motor power and pump support. 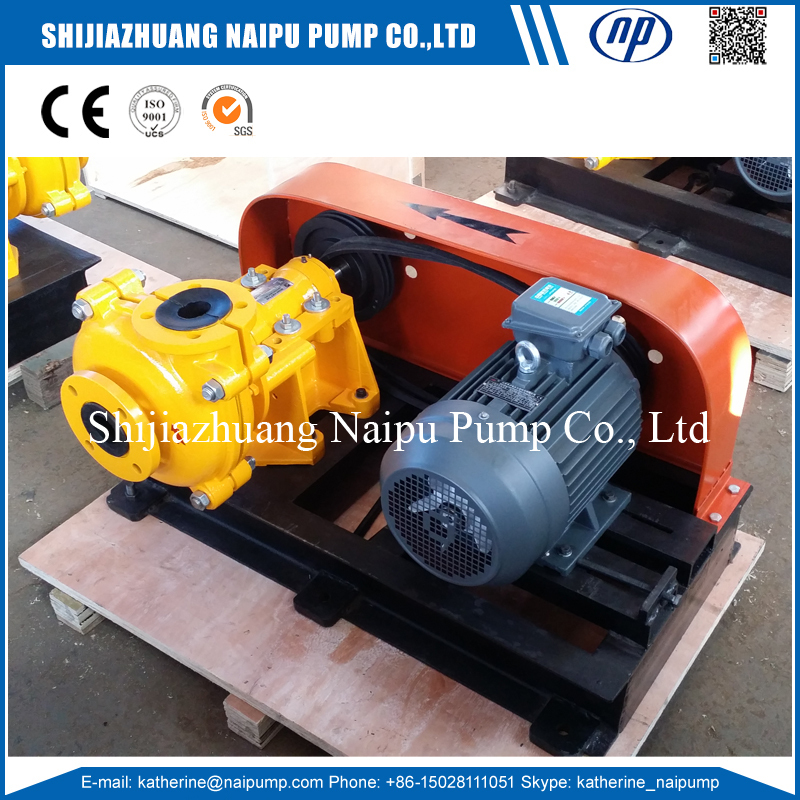 Naipu offering Horizontal Slurry Pump wet end part material as following. Metal A05, A07, A12, A33, A49, A61 and etc. Rubber R08, R26, R33, R55, S01, S21, S31, S42 and etc. Special materail: U01, EPDM, PU, CR, Hastelloy 276-C, Ferralium and etc. Looking for ideal Acid Resisting Rubber Pump Manufacturer & supplier ? We have a wide selection at great prices to help you get creative. 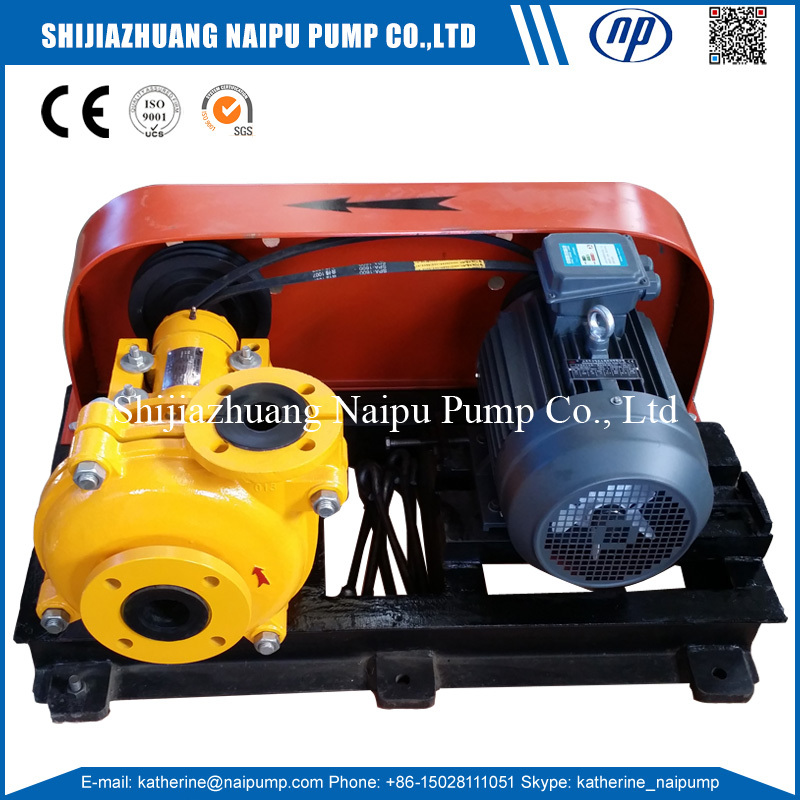 All the Sulfuric Acid Pump are quality guaranteed. We are China Origin Factory of 1.5 Inch Rubber Pump. If you have any question, please feel free to contact us.